After launching in the US a year ago,Facebook makes Facebook Watch available everywhere, allowing easier access tovideos and interactions with friends, creators and other fans. 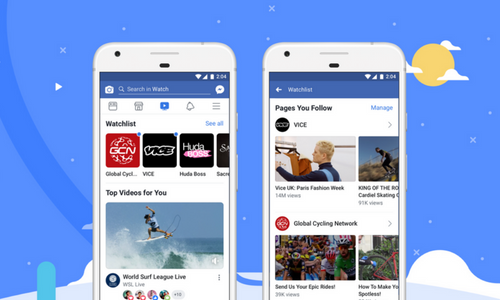 Facebook Watch allows users tofind latest videos spanning entertainment, sports, news, and more — all intheir personalised Watch feed. It is also a collection of recent videos fromsubscribed pages while users can save the videos from their News feed and watchlater. Watch was launched in August 2017. It iscomprised of shows which are made up of episodes – live or recorded – thatfollow a consistent theme or storyline, aiming to be a platform for allcreators and publishers to find an audience, build a community of passionatefans, and earn income. Facebook said every month, more than 50million people in the US watch videos for at least a minute in Watch — andtotal time spent watching videos in Watch has increased by 14 times since thestart of 2018. However, BBC reported yesterday thatalthough Watch is often portrayed as a rival to Google’s YouTube, Netflix,Amazon Video, BBC iPlayer and Facebook’s own Instagram TV, Watch has had nicheappeal in its first year in the US, as about three quarters of respondents saidthey had either never heard of it or never used it. Another study also foundout that Watch shows struggled to retain audience.